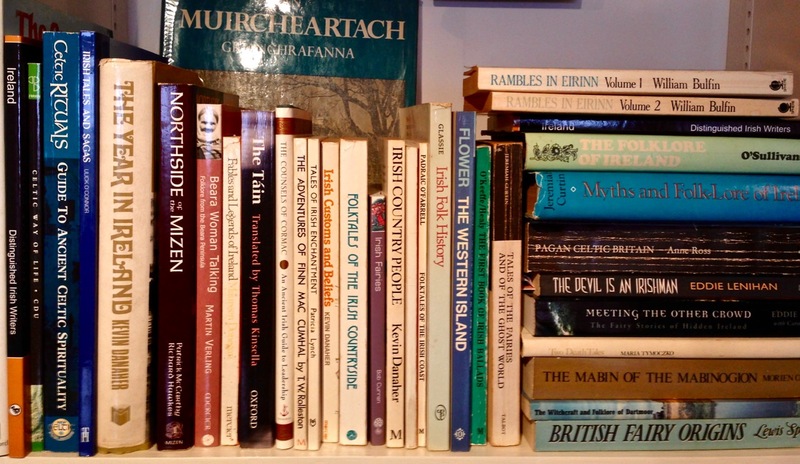 I have mentioned this reference to ‘November Dark’ in previous posts but, apart from the Northside book, I have been unable to find any other allusions to the term – either on the internet (which is usually a sure source of every conceivable fact or fiction) or on our bookshelves (which are overflowing with volumes on Irish culture, traditions and folklore). According to McCarthy and Hawkes it points to the appearance of the November new moon: this year it occurred last Wednesday – the 11th – which was also Martinmas. 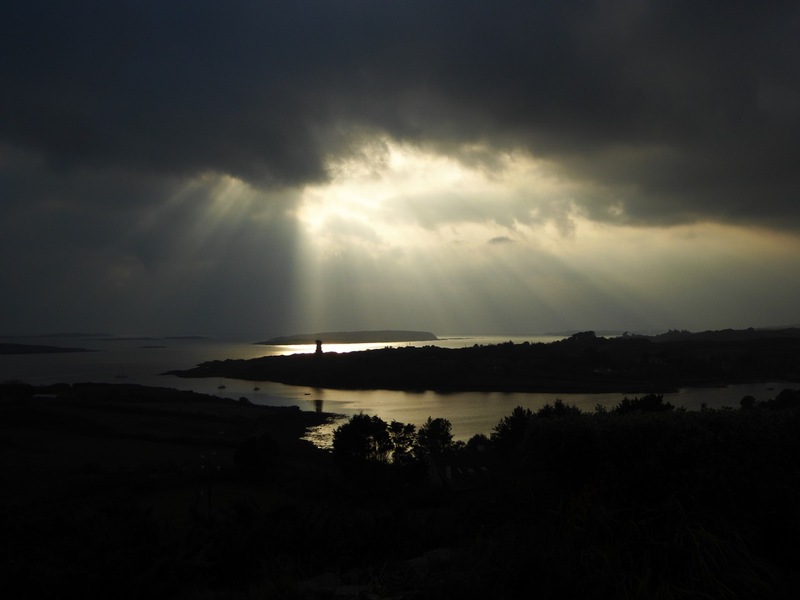 Historical evidence documents seining in the South West Coast of Ireland from County Waterford, to County Kerry, from the 16th century onwards. 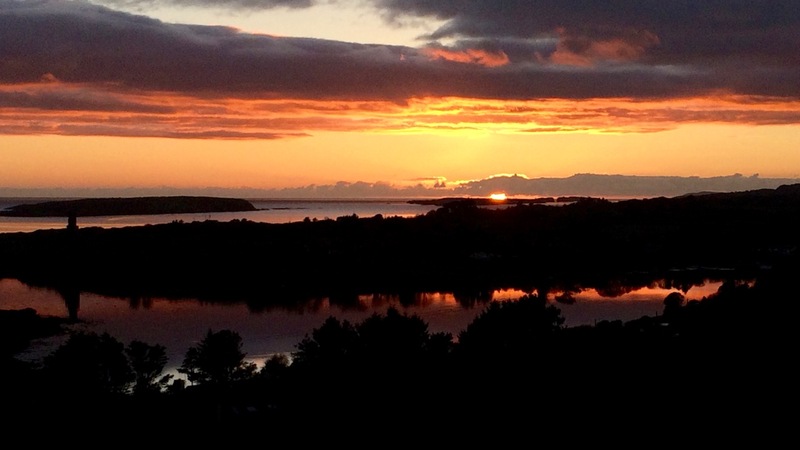 This was an important industry with Baltimore, Dunmanus, Schull, Sherkin, Kinsale, Bantry and Whiddy Island as centres, together with outlying curing stations called Fish Palaces or Pallices, of which there were significant numbers along the Southern coast. 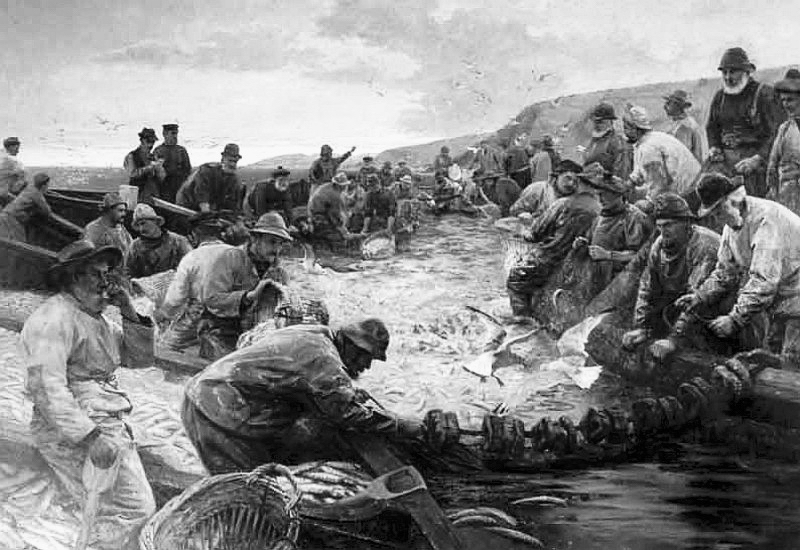 The fish – usually pilchards – were caught by means of a seine net: two boats, the seine boat and the so-called follower (locally called the ‘faller’) were used. The seiner, a large boat pulled by perhaps a dozen or more oars, carried the net, which was often 300–400 yards long. 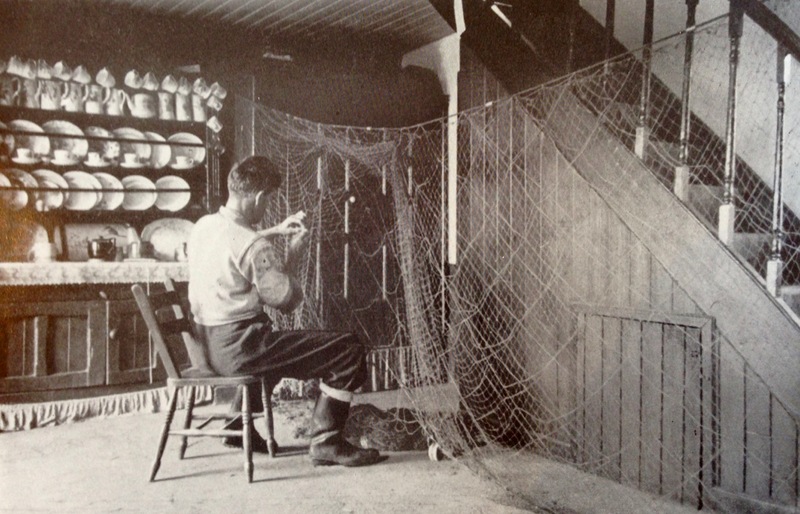 An experienced fisherman acted as a huer by directing fishing operations from a suitable vantage point ashore. From high land, the huer could see the shoals of pilchards clearly, and he alerted the seine boat, by shouting (the ‘hue and cry’) or making suitable signs as to the location of the shoal. Often the shoals were too far out to be seen from the land, and one of the crew – known as a spyer – had the job of locating them from on board. On a given signal, the net was shot around the shoal by the seine boat, and in the meantime, the free end of the net was picked up by the faller, with a crew of perhaps five or six, pulling the ends of the net together. The footropes of the net were gradually drawn up until the fish were completely enclosed, and by means of baskets the fish were transferred from the net to the boats. 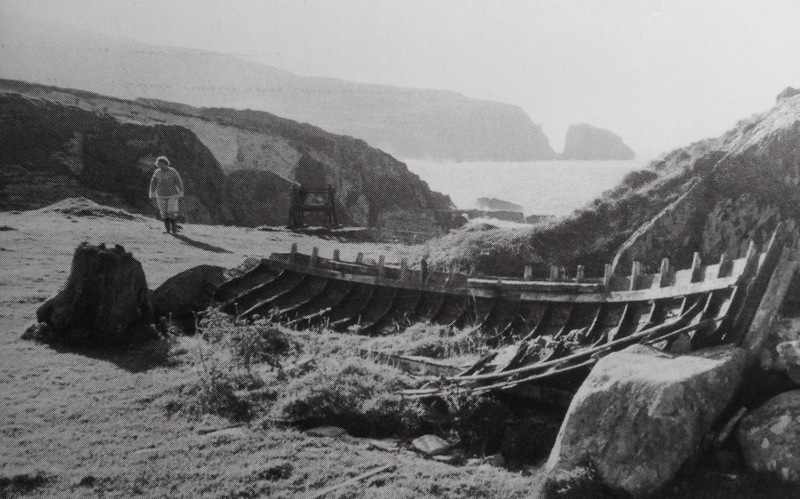 …Mike Séamus O’Sullivan of The Glen, St Finan’s Bay, was a member of the crew of the last seine boat to land a catch in South Kerry. Mike began fishing lobsters with his father when he left school aged sixteen. “That was before the war and lobsters were making four shillings a dozen in those days, but when the war came the fishing really got going in these parts,” Mike told The Kerryman this week. “We were catching mackerel, pollock, herring and they were cured and boxed at Renard Point before going by train to England. The seine boats were catching all mackerel in the war years and prices were about two shillings per hundred, but one day in 1942 an English buyer arrived at Renard Point and offered £3 a hundred!” Mike recalled. We have been looking back through our archive of the photographs which we’ve taken here on or around ‘November Dark’ in past years. There’s quite a contrast: we have had times of golden sunsets and warm days when we could sit out, while this year has brought a period of wild storms and grey skies. This entry was posted in Cappaghglass, Folklore, Goleen, Irish Culture, Irish History, Irish Weather, Kerry, Roaringwater Bay, The Mizen Peninsula, West Cork, West Cork Blog and tagged Barking Pot, Ceiler, Fish Palace, Goleen Barking Pot, Huer, Martinmas, Northside of the Mizen, November Dark, Pallices, Penlee Gallery, Percy Robert Craft, Seine Boats, Seining, Snap-Apple Night, Spyer, Tomás Ó Muircheartaigh, Tucking. Bookmark the permalink. Thank you Monica – I have fortunately located a copy near here. Someone else may be interested in that one. Best wishes. 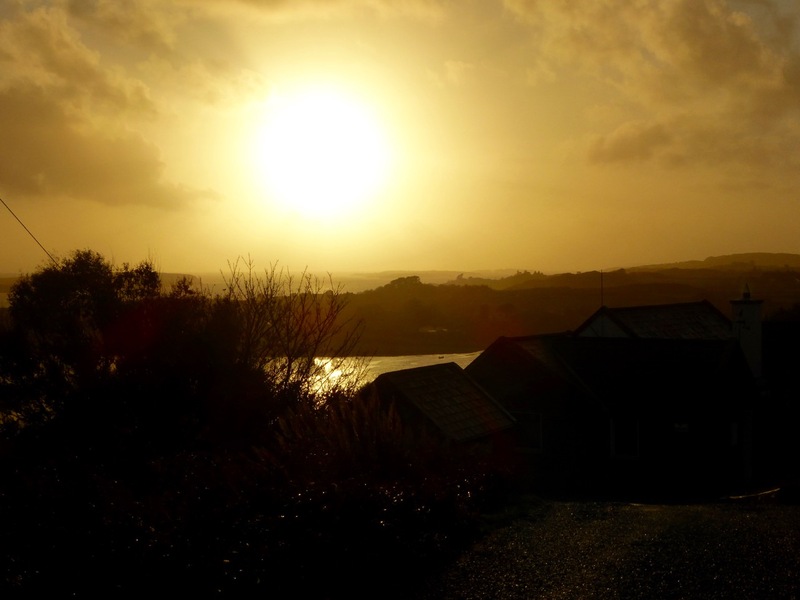 Great post Robert – the phrase November Dark seems totally appropriate even if it has slipped out of usage. In Cormac Levis’s Towelsail Yawls: The Lobster Boats of Heir Island and Roaringwater Bay, while it doesn’t mention the term ‘November Dark’ specifically, it does mention that the November new moon was viewed by the Islanders as the optimum time of the year to harvest willow withies for lobster-pot making. “At that particular time, all growth is said to an absolute standstill before re-awakening with the waxing moon”. This meant that the sap in the withies was at it’s lowest paint making them “tough but pliable”. It is a fantastic book if you can get your hands on it! Thank you, Tim, for the book recommendation (I haven’t come across it but I will look out for it now), also for the information on the withies: I’m going to follow that up too! Unfortunately it is out of print. The time Traveller bookshop has a copy for 78 quid!!! Time for a second edition I think. There should probably be a copy in Skibbereen Library. Well worth the read, some fabulous accounts of the Heir Islanders who were famous all along the Cork coast. The author Cormac Levis is an organizer of the gathering of the boats in Ballydehob every summer.